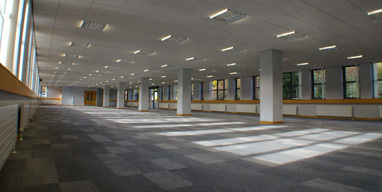 We have undertaken two schemes at Lawnswood Business Park. The first involved installation of a CCTV system throughout the Business Park. The second involved refurbishing and upgrading several offices, including new suspended ceilings, electrics, flooring, joinery and redecoration. Our previous work for this client has included several at the Royal Exchange Theatre, Manchester.